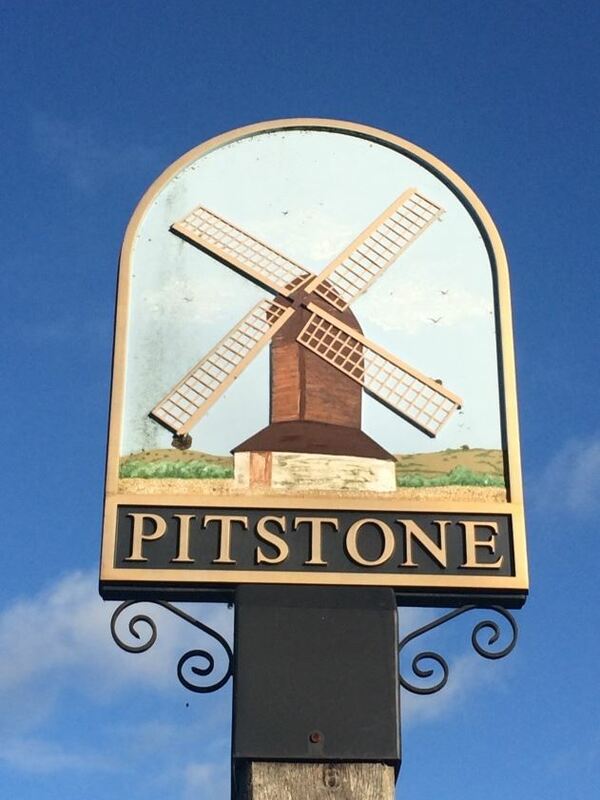 This sign depicts Pitstone Windmill which is an example of a very early post mill. There has been a mill at Pitstone since at least 1627 and was used to mill wheat for animal feed and flour. Unlike more traditional mills seen around the country the sails were covered with material rather than elaborate shuttering. It was turned to face the wind on top of a huge wooden post using a tail pole instead of a fantail or shuttered sails. The mill had survived for around three centuries before a freak storm in 1902 caused extensive damage. Although the mill is no longer in use today, its machinery, including the windshaft and the brakewheel is still intact, having been lovingly restored by volunteers and now belongs to the National Trust. The windmill is open most Sunday afternoons during the summer. 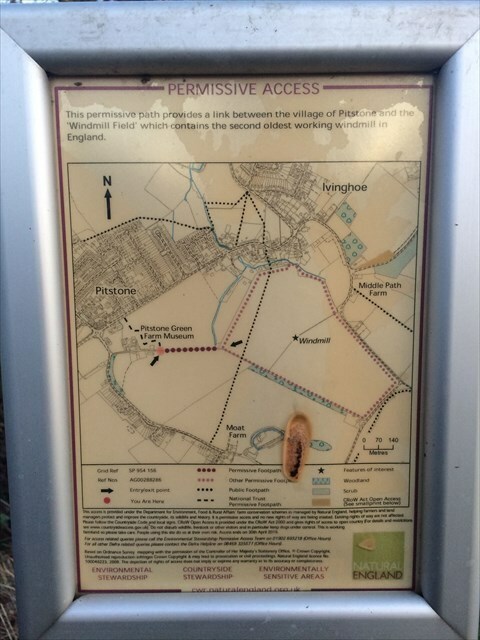 There is also locally a Watermill (Brook End Mill) which was connected by Mill Way road (now Orchard Way) to Pitstone Windmill. These were often owned by the same person. Pitstone used to be known as Pightlesthorn, and has mainly been a farming community. However, during the last century it began to be known for producing Portland Cement. A local museum (open only several times a year) provides an insight to the villages agricultural heritage. Parts of the surrounding area have been designated “Sites of Special Scientific Interest”. To find this cache first find the number of the street lamp (AB) next to the village sign. You are looking for a small camo container. Once at the cache site, if you turn around and look beyond the far hedge you will see the landmark depicted on the village sign. This cache has been set with the permission of The National Trust Ashridge Estate. Our thanks to Smokeypugs for permission to resurrect this village sign.